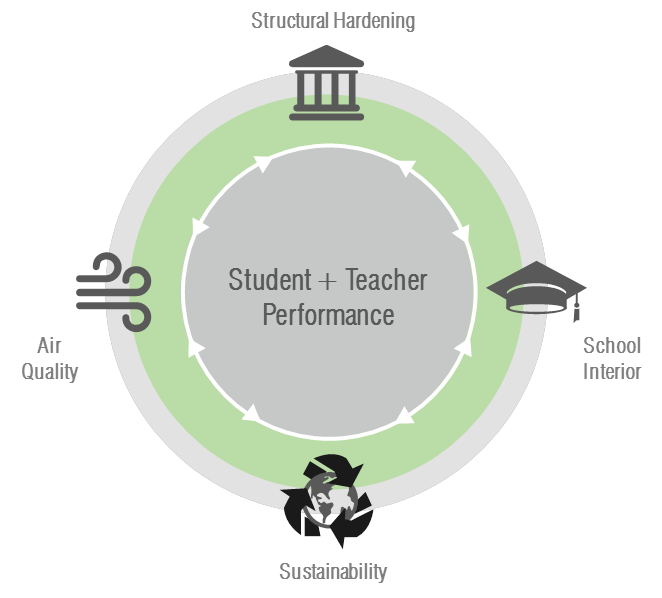 • Determine impact on student performance. • Determine how healthy school strategies affect one another. Learn the processes involved to create research relationships between government research funding agencies, research universities, investigators and planners familiar with the design and construction of schools. Learn the benefits that are available to school district officials and school boards who seek to make building design decisions for new schools or school renovations. Learn how to gain a stronger definition of the trade-off concerning sustainability and environmental quality for students.